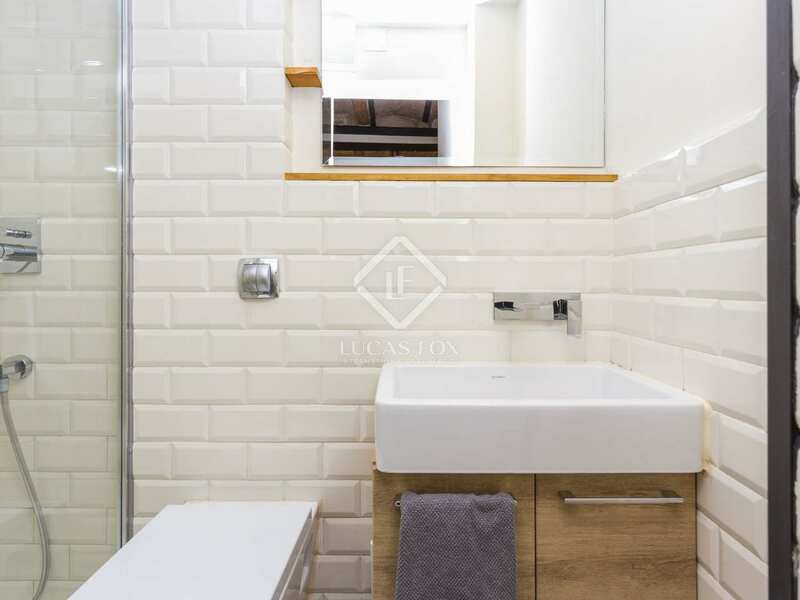 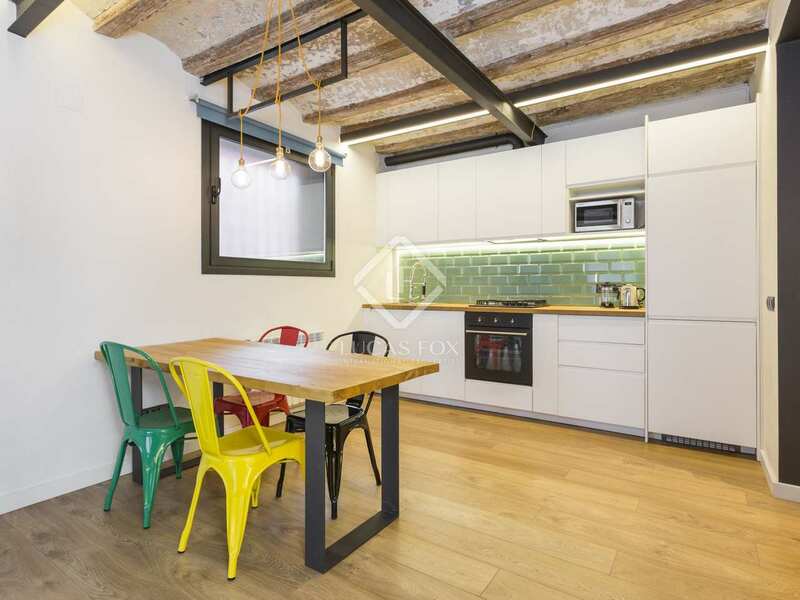 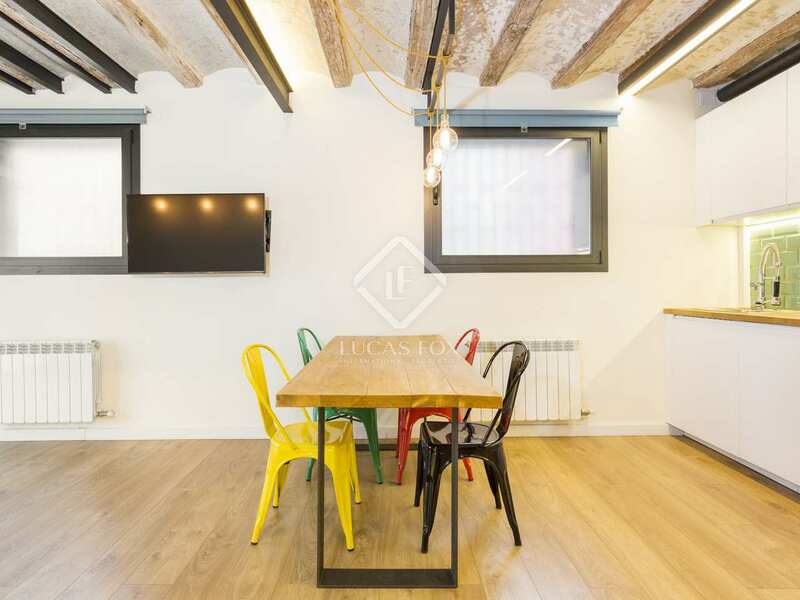 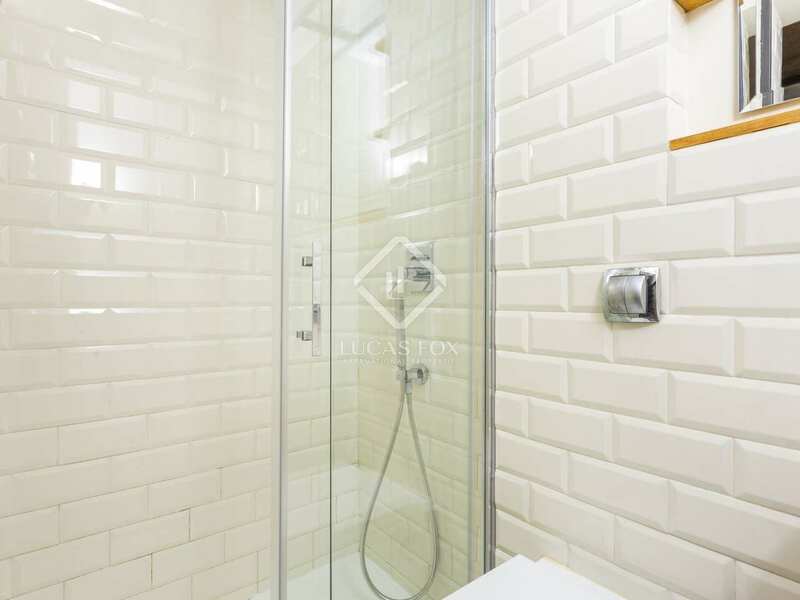 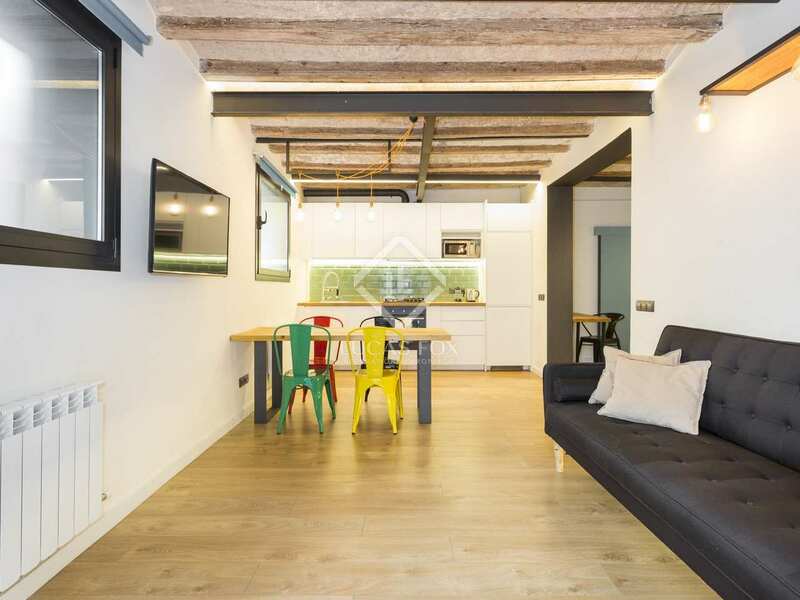 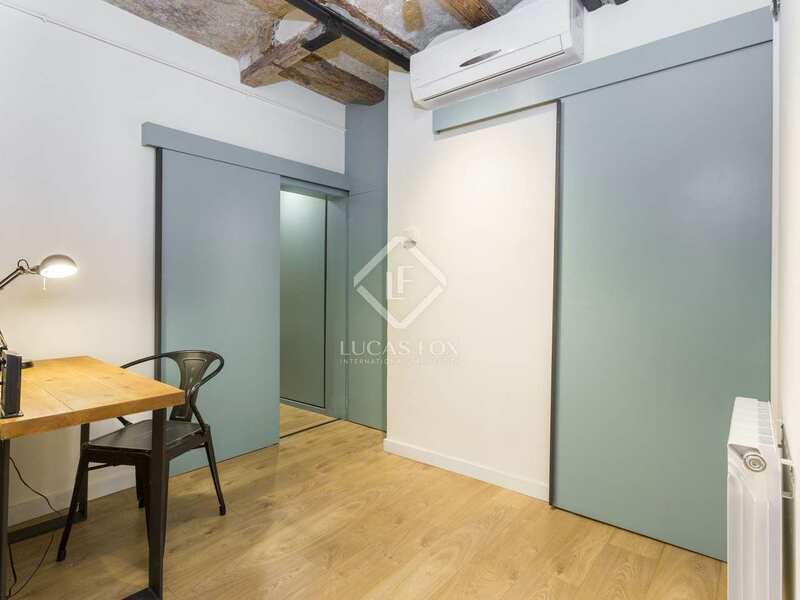 Charming renovated apartment with a tourist licence in Vila de Gracia. 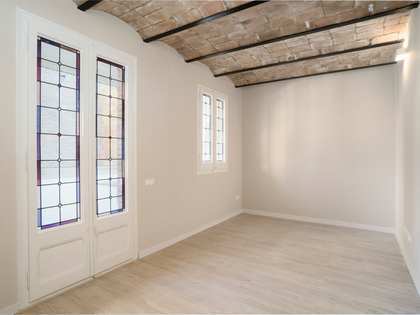 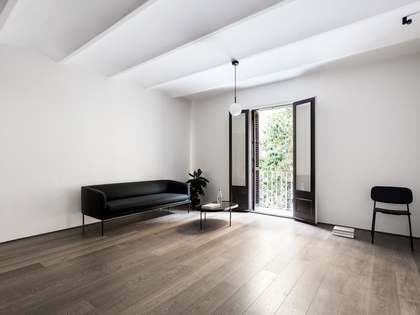 This ground floor corner apartment is found in a renovated historical building on a pedestrian street. 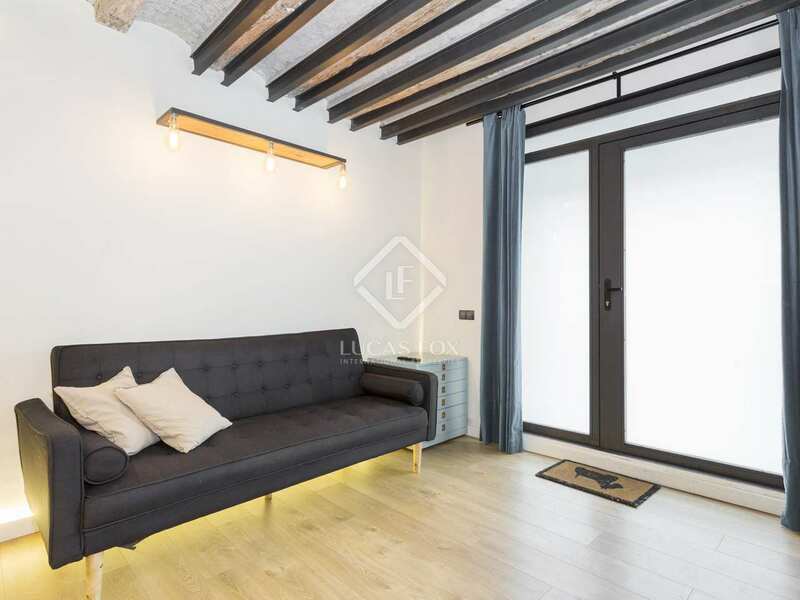 The apartment is accessed directly from the street and has an open plan living room – dining room and kitchen, 2 double bedrooms, a bathroom and an open area between the bedrooms that is ideal as a study. 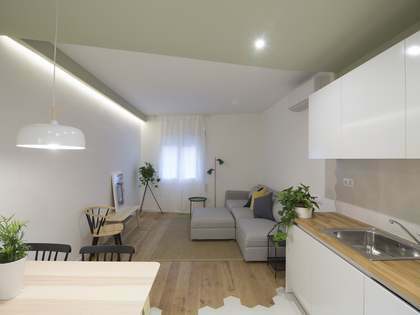 As well as being spacious, the living room – dining room is also bright and includes a neat, modern kitchenette with the washing machine and boiler discreetly tucked away in a separate fitted cupboard. 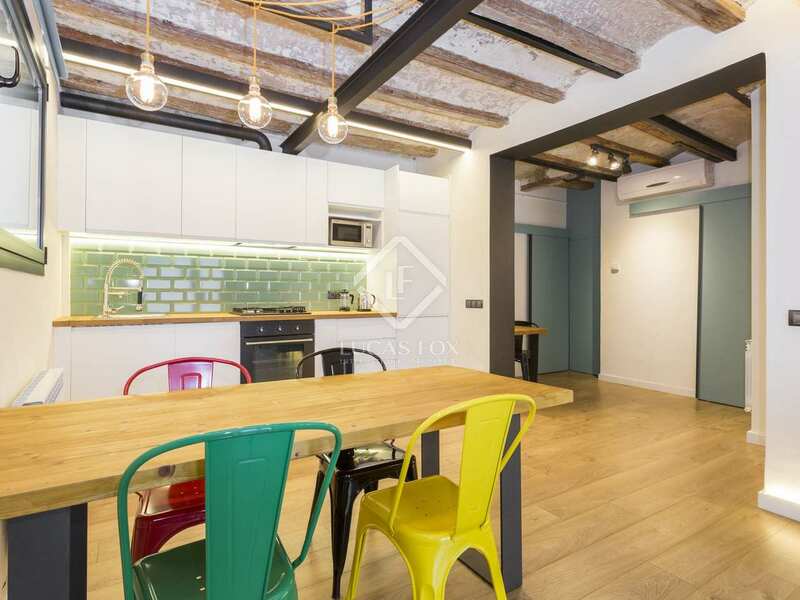 The apartment overlooks peaceful pedestrian streets on both sides. 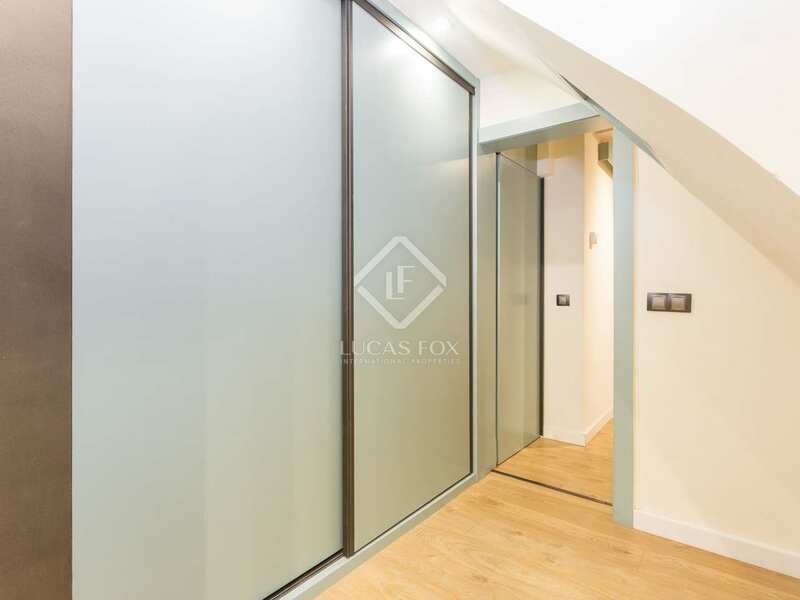 The windows and glass doors that open up to the street feature smoked glass in order to provide privacy without compromising on the abundance of natural light thanks to the south-east facing position of the property. 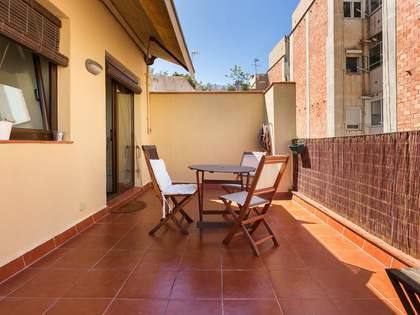 The property is furnished and presented in excellent, move-in condition with air conditioning and heating. 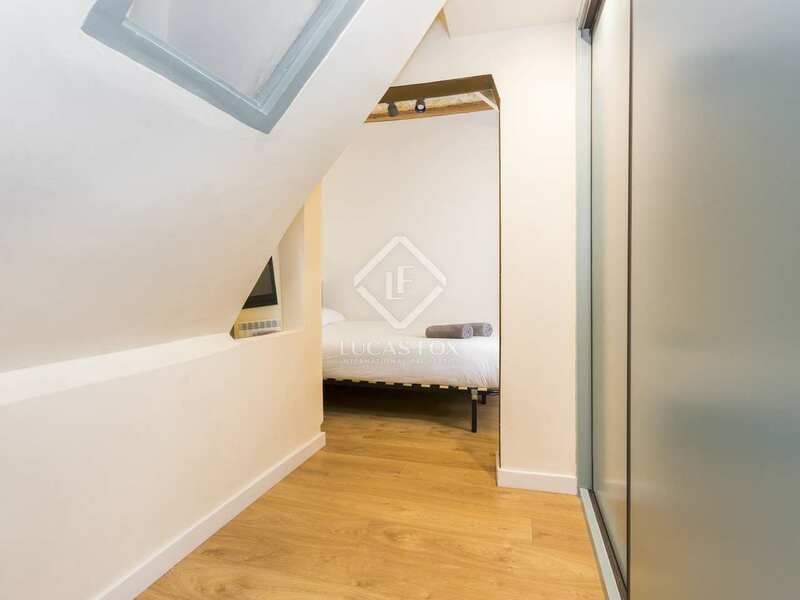 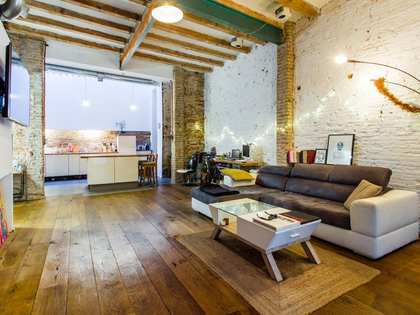 An ideal home for a professional individual, couple or as a pied-a-terre in the city. 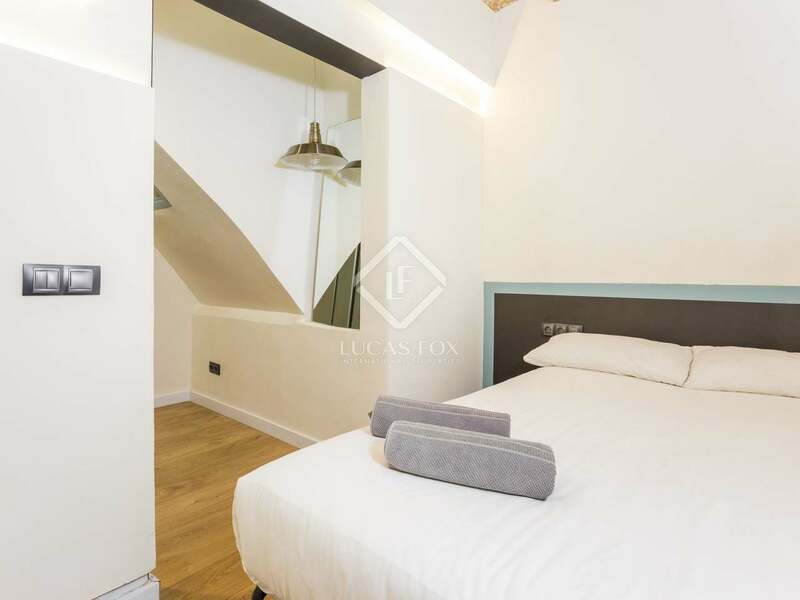 What's more, this property has a tourist licence and enjoys an excellent gross rental yield of 6.4% with an occupation rate of 62%. Ground floor apartment in Vila de Gracia, very close to Plaça Rovira i Trias, Carrer Torrent de les Flors, Plaça del Nord and Carrer de Joan Blanques.